The holiday season is upon us! The turkey has been carved, and the Christmas shopping has begun. The little ones are busy writing up their lists for Santa, and holiday music can be heard spilling from every corner of the city. 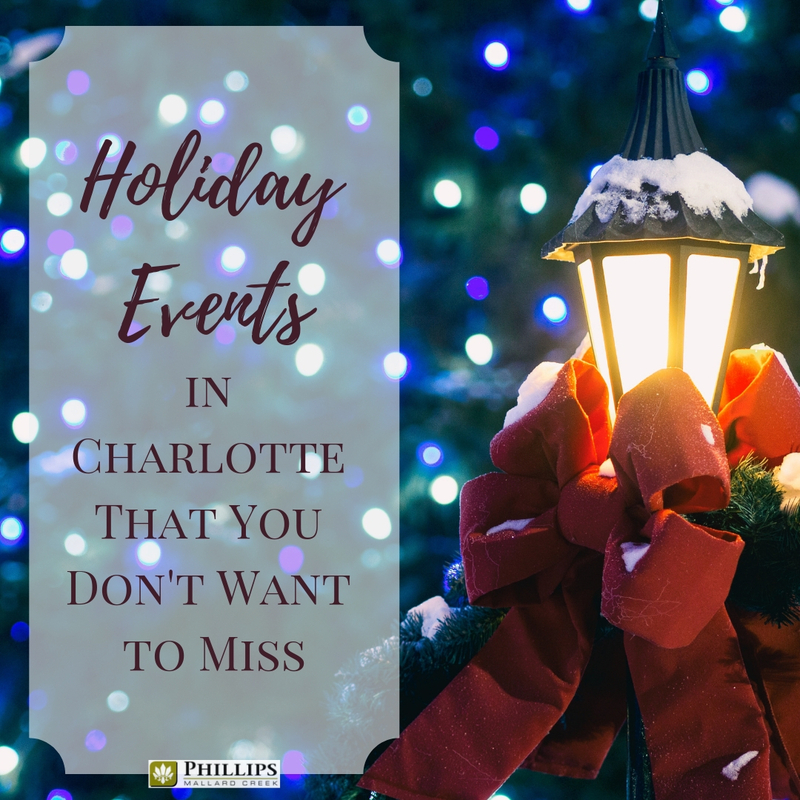 For all of you living in Charlotte, NC apartments, you can get excited because the Queen City has plenty of holiday activities on the horizon. 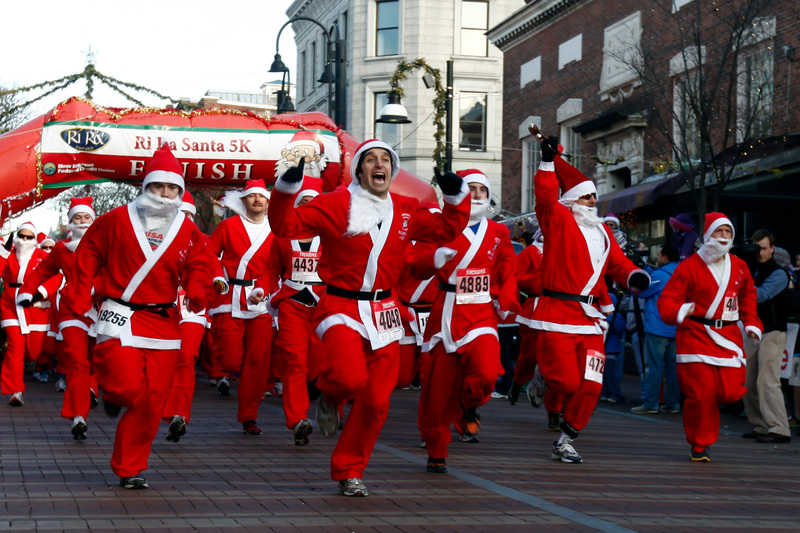 This list of fantastic events is the perfect way to celebrate the season. Resist the urge to camp out in your Phillips Mallard Creek apartment this holiday season. 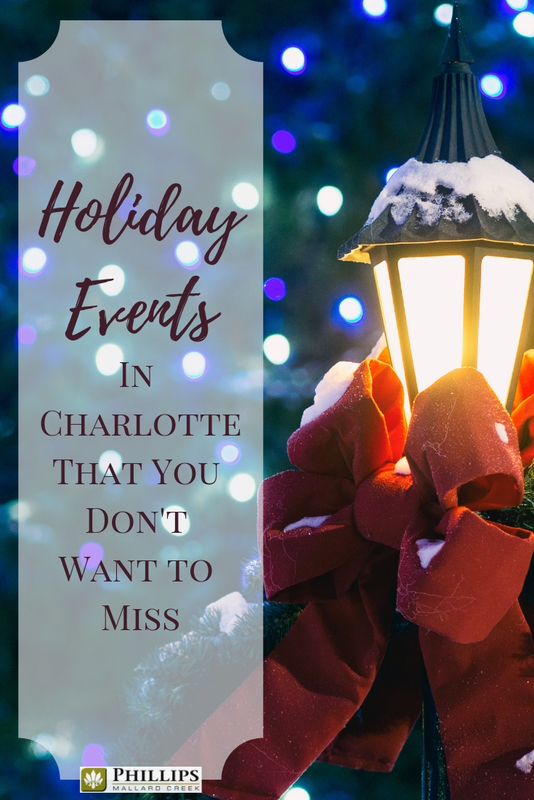 Grab your coat, pick one of these great events, and enjoy all that Charlotte has to offer this December. If you are looking for a family attraction to help celebrate the season, head to the Christmas at the Library celebration. This annual event takes place at the Billy Graham Library and can get draw quite the crowd, so be prepared to wait in line! This free event is happening at Victory Lane Karting on Tipton Drive. Kids will have a chance to take a picture with Santa, get a free bag of candy, and even enter to win a toy giveaway! The In Our Nature studio in Myers Park will be hosting a wreath making workshop. Learn to make a beautiful wreath to adorn you Charlotte, NC apartment door. 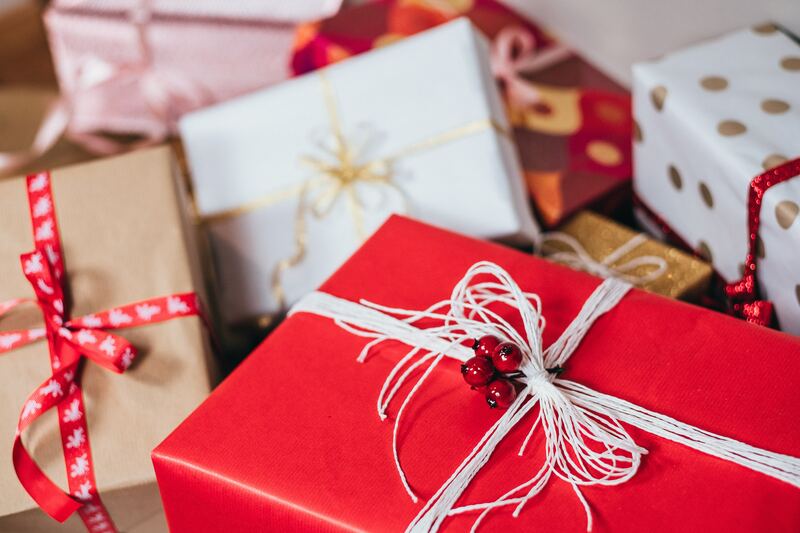 This pop-up shop is the place to shop for everyone on your list! There will be plenty of local vendors, many with city-themed items, and the pop-up will be full of surprises! Local food blogger and culinary expert, Heidi Billotto will be hosting a cooking class just in time to help you rock your holiday season. You will learn a few different small plates that all use local ingredients and what wines to pair them with. The Mint Museum has partnered with SouthPark Magazine and the Charlotte Observer to bring a shopping experience to the Queen City. At this event, you will find jewelry, artisan goods, and beauty products. It is a great way to celebrate local businesses and artists. This annual event brings out the gingerbread artists from all over the city. People that attend the event get the chance to vote for their favorite creations. This ballet is the quintessential experience of the holiday season. The gorgeous sets, lavish costumes, and beautiful choreography will take your breath away. Need a little time to finish up your holiday shopping without the kids in tow? Let them eat pizza, play games, and dance at Upstage Center for Performing Arts while you take a little shopping break! This event is similar to a bar crawl, but instead of drinking, the focus is on shopping til you drop! You will visit stores like GoldKloth in South Charlotte, Bartique in NoDa, and Splurge in Myers Park. All shoppers will receive special discounts. The SouthPark Church and Sharon Presbyterian Church are putting on a musical celebration this year. There will be a large choir with soloists and a handbell choir to enjoy. The Community Singers of Lake Norman will be putting on a performance full of Christmas Carols. Get into the holiday spirit at this choral event. Cavendish Brewing is making the holidays magical in true wizarding-style. The day will include family activities, costume contests, and Butterbeer! Even if you never got your Hogwarts letter, you can still do the holidays like a wizard. This event at the Broken Spoke is the place for employees of small businesses to enjoy a "corporate holiday party". The night will include appetizers, champagne, and a prize raffle! Blue Blaze Brewing wants you to bring your ugly sweaters and enjoy brews, live music, and sweet treats. Santa will be on hand for taking selfies with the kiddos or the pups! Your brunch ticket will include a mimosa, live performances, ornament making and more. This is a semi-formal event so jackets are required for men. The Queen City is bringing the holiday celebrations this year, as you can clearly see from all of the fun stuff on this list. No matter how you want to celebrate (with kids or without) there are plenty of ways to have fun. Go on, get out of your Charlotte, NC apartments this month and enjoy the holidays! For Phillips Mallard Creek apartment residents, we have a few events of our own planned, so keep on eye on your inbox for the latest news and updates.